Zong has introduced a great service for its customers and also for other Job Seekers where they will be able to get alerts to their favourite jobs right on their mobile phones. This is a subscription based SMS service and with this newly launched "ZONG Job Alert Service" you will be able to get job notifications from both local as well as international markets and Employers. Moreover, if you have a GPRS / EDGE enabled handset you can apply right there and then. 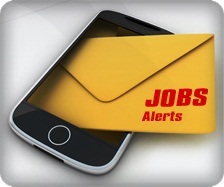 How to Get Job Alerts on your Mobile Phones ? All you have to do is make your profile, send your city name, your job category and subscribe. Job Alert Service automatically map your wish list with the requirements of companies in Pakistan and overseas and you start getting alerts via SMS. How to Activate / Subscribe to Job Alerts ? To subscribe the Job Alerts, send Sub to 4040 from your Zong Network. SMS charges to 4040 are Rs. 0.50+tax per sms. Daily Subscription Charges are Rs. 1+tax per day.